Written by Dr. Santosh Badaku Desai and medically reviewed by iCliniq medical review team. Every woman needs to know how and when she should get herself screened for breast cancer. As the incidence of breast cancer is gradually increasing in developing as well as the developed world, it is important to look for cancer before there are any obvious symptoms. Q. Which is the best method to screen for breast cancer? A. Mammography is the best method for screening as it is painless, safe and most accurate. Q. When should I start screening by mammography? A. It is better to go for a mammography checkup from the age of 40 years. However, even a younger woman can go for it. Q. How often must I do mammography? A. For women aged 40 to 44 years, it is recommended to do mammography once in two years. Women aged 45 and above, should get screened every year. A. The procedure is safe. There is a very small amount of radiation exposure. But the benefits outweigh the small risk every single time. Q. What if I do not want to go for mammography? A. Although mammography is the best screening method, other screening methods like breast ultrasound, breast MRI, and breast self-examination can be done. Q. 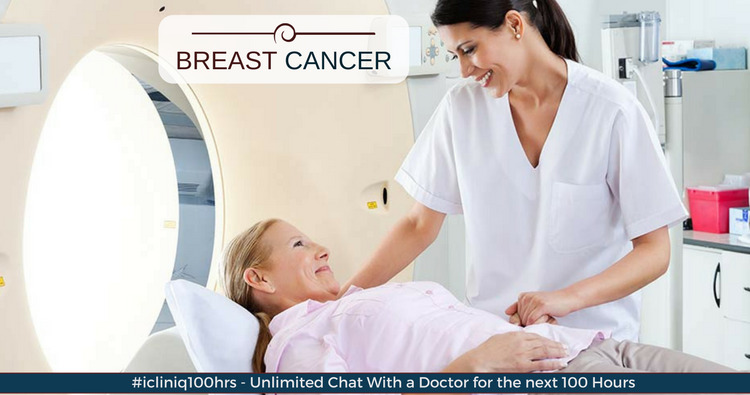 When to start mammography screening if there is a family history of breast cancer? A. It is recommended to start screening 10 years earlier than the age at which your relative was diagnosed. For example, if they were diagnosed with breast cancer at 45, you have to start by 35 years. Q. Is breast self-examination beneficial? A. Though studies have shown no real benefit, breast self-examination along with regular checkup by your doctor can be beneficial to detect any changes. Even if initially BSE is confusing for you, it is good to start the practice and familiarize yourself with what is normal. Q. What is the ideal time for performing breast self-examination? A. It must ideally be performed one week after the menstrual periods so that there is no tenderness or swelling of the breasts. Q. When to start doing breast self-examination? A. After the age of 20, it is a good habit to start BSE once a month and record your findings in a diary. Q. What changes to look for in BSE? Rashes on the outer skin. Early screening and detection help in better prognosis and treatment of patients. So, it is a good idea to be aware of what is the ideal method and frequency of screening according to your age and risk.